We pride ourselves in providing a familiar and comfortable environment where our clients can feel at ease. We will offer competitive prices and state of the art veterinary care while providing the highest quality products to keep our patients healthy. We work individually with each and every one of our clients to provide the service that they need for their four legged family member. 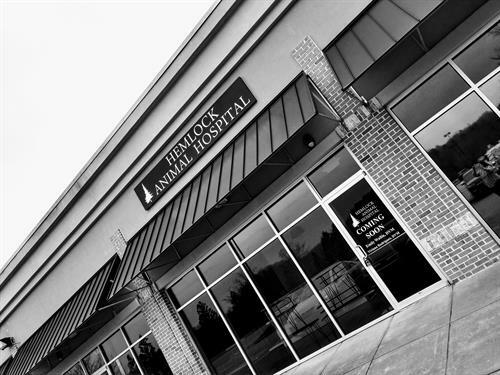 Hemlock Animal Hospital is owned by two energetic female veterinarians, Dr. Emily Wallin and Dr. Viviana Rodriguez, who live and have been working in the north Georgia mountains for over 6 years and are familiar with the clientele and life style. We will be an active part of our community by participating in local activities as well as developing affordable vaccine and spay and neuter clinics during the year. Close to the intersection of HWY 19 and HWY 60 in the Home Depot Shopping Center between Urgent Care and AT&T.